APS Board Member Michelle “Mikki” Hebl of Rice University is the winner of this year’s Robert Foster Cherry Award for Great Teaching. Presented by Baylor University, the “Cherry Award” honors the finest university teachers in the English-speaking world. As the 2016 Cherry Award recipient, Hebl will receive a $250,000 award and an additional $25,000 for the psychology department at Rice University. This is the largest single monetary award for university teaching excellence in the United States. During the 2016-2017 school year, Hebl will be teaching in residence in Baylor University’s Department of Psychology and Neuroscience. Hebl’s research focuses on the subtle but serious issues related to diversity and discrimination, particularly in the workplace. Historically, discrimination was far more explicit; for example, signs saying “no Irish need apply” or “Whites only.” Contemporary antidiscrimination laws, however, have rendered these forms of overt discrimination far less common. Hebl’s research suggests that the strident discrimination of the past hasn’t simply disappeared: While explicit forms of discrimination have become rarer, subtler forms of interpersonal bias are still incredibly widespread. Hebl’s lab examines the ways people use interpersonal behaviors, like body language or tone of voice, to display discriminatory behavior. Her research shows that even subtle forms of interpersonal discrimination have a perverse influence on decision-making, hiring, and compensation. During the lecture Hebl gave as a Cherry Award finalist, she explained how even well-intentioned and educated people hold these biases that lead to discrimination. “Research shows that forms of interpersonal discrimination can be just as harmful, if not more, than overt discrimination,” she explained. In addition to documenting current forms of discrimination, Hebl and her collaborators also are investigating ways to remediate bias at both the individual and organizational levels. For example, some of Hebl’s research has shown how antidiscrimination laws can play an important role in changing people’s attitudes and behaviors, ultimately reducing interpersonal discrimination. Hebl has won numerous other awards for her teaching. She has been awarded Rice University’s George R. Brown Prize for Superior Teaching so many times that she has now been retired from the competition, and also has received the Distinguished Teaching Contributions Award from the Society of Industrial/Organizational Psychology. In 2005, she became the first Rice professor ever nominated and chosen by Rice students as the university’s commencement speaker. Hebl also has won numerous awards recognizing her outstanding scholarship. She was nominated for CASE Professor of the Year in 2009 and 2014, an award which honors the “most outstanding undergraduate instructors in the country — those who excel in teaching and positively influence the lives and careers of students.” She has received research grants from the National Institutes of Health, the National Science Foundation, and the National Cancer Institute. 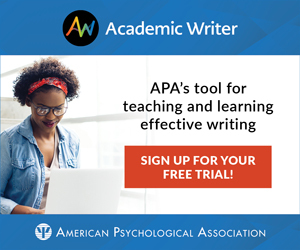 APS maintains a host of resources on teaching psychological science in the classroom, including instructional materials for teaching about the latest in cutting-edge research, expert guidance on pedagogy, as well as blogs, videos and other links to topics that will engage students.